What goes around. In this age of industrial wealth and manufacturing proficiency, the audio industry has leapt forward with a proliferation of companies now capable to adopt engineering and construction techniques that elevate quality to unforeseen levels. One only has to look at the manufacturing marvel that is a D’Agostino Momentum, Boulder amplifier or Continuum turntable to appreciate that such levels of design, fabrication and fit and finish were once only dreamt of. 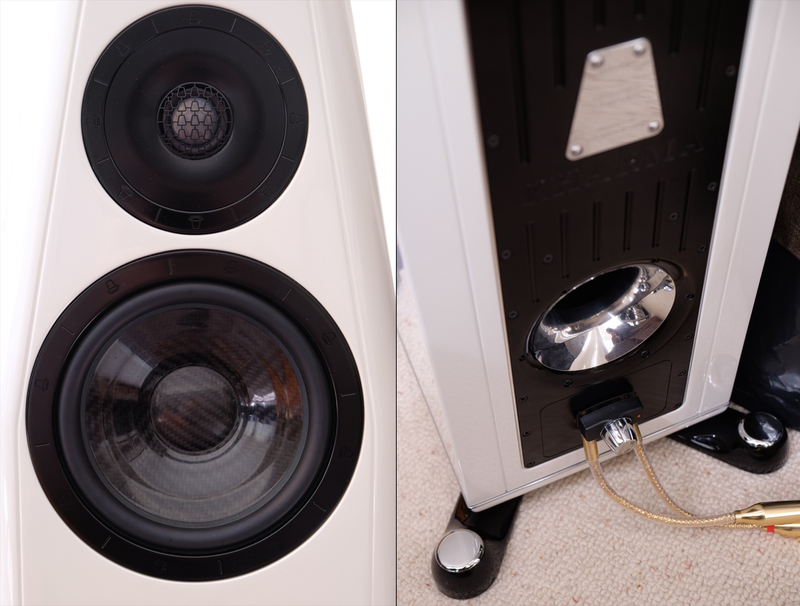 This unprecedented level of build quality has also been adopted in the loudspeaker realm. Here a number of companies have produced state-of-the-art flagship models of truly extraordinary quality in every design aspect. Subsequently, these manufacturing techniques and technologies have trickled down to lower rungs in their product ladders. Dutch Kharma are certainly among those engineering-driven companies with an astute eye for aesthetic design who offer ‘ne plus ultra’ products whilst steadily enriching their more affordable ranges with trickle-down tech. 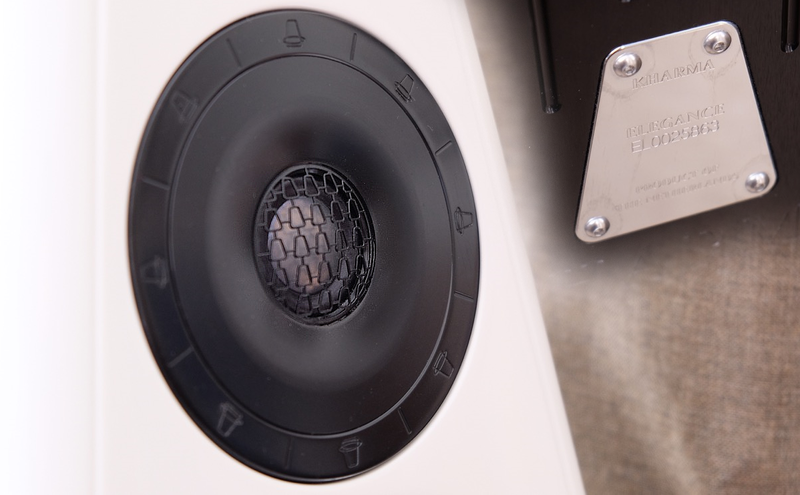 Witness here the S7 speaker from their Elegance line, Kharma’s so-called ‘entry’ level range. Rarely have I seen such manufacturing and aesthetic excellence as in these stunningly beautiful speakers. Every aspect of their overall gorgeousness has been elevated to an absolutely immaculate outcome. Such striking beauty beggars a get-go description of physical appearance which then will lead to more profound matters related to specifications and performance. The review pair came in a flawlessly applied gloss white with subtle gold speckle, no ripple, orange peel or imperfection in sight. Nowhere. Absolute perfection. Equal care was applied to all aspects of the construction. The cabinet feels extremely solid and the knuckle test passed with flying colours. The thing is resonance dead.